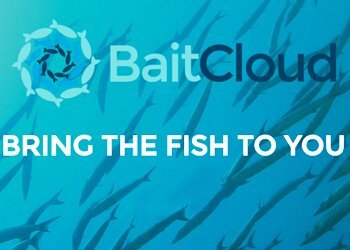 Feature images show saltwater salmon and halibut catches. Noel Gyger reports. Chance of a shower with highs to +5 degrees Celsius. Skeena River is low and still in good shape despite the rain we are having. Water is very low please be careful if you fly around in a jet boat. Coho fishing closed October 31st. 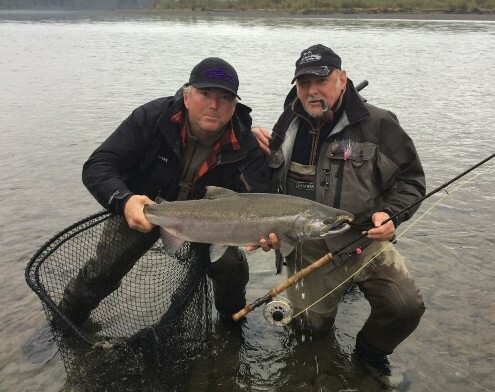 Tyee Test Fishery showed a record run of Steelhead this seaon. Coho run was way down this year. Kalum River is in great shape and fishing well for Steelhead. Both fly and spin fishing are working well. Water is very low and dangerous for jet boat…so go with drift boat or raft only. Be safe my friends! Kitimat River is closed to Salmon fishing. Zymoetz (Copper) River has had a good rain but conditions are holding and many Steelhead are being landed. In the upper Copper Steelhead fishing will close December 31st. One will be able to angle for them in the lower end. Ocean fishing for Salmon, Halibut, Prawn, Dungness and Alaska King Crab is good out of Kitimat. 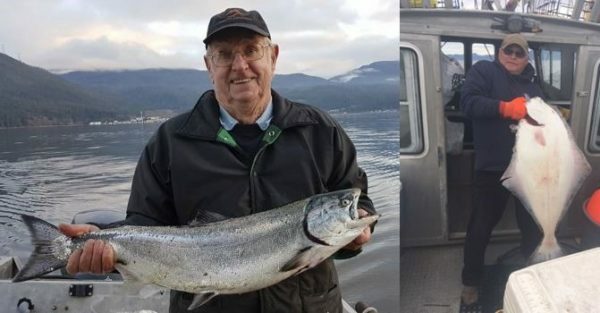 If you would like to book a river fishing guide or ocean charter for 2018-19 you can contact Noel at, www.noelgyger.ca . Featured image saltwater salmon & halibut. Would you like to catch a Chinook and Halibut like this TODAY? Caption by Tracey John Hittel of Kitimat Lodge, Halibut and winter springs have arrived want to get out this month call Kitimat Lodge. Noel Gyger reports. Mostly sunny but there is a chance ow showers with highs to +5 degrees Celsius. Skeena River is dropping and may be fishable for Steelhead by the weekend. Coho fishing closed October 31st. Tyee Test Fishery showing a record run of Steelhead this season – this is good news. Hope this trend holds! Coho run was way down this year. Kalum River is in fair shape and fishing well for Steelhead. Both fly and spin fishing are working well. Kitimat River is closed to Salmon fishing. Zymoetz (Copper) River has dropped and may be fishing again for Steelhead. 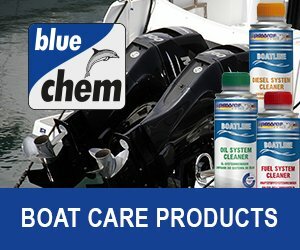 Ocean fishing for Salmon, Halibut, Prawn, Dungness and Alaska King Crab is good out of Kitimat. 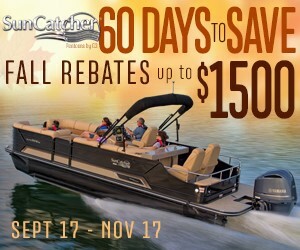 If you would like to book a river fishing guide or ocean charter for 2018-19 contact Noel at www.noelgyger.ca . 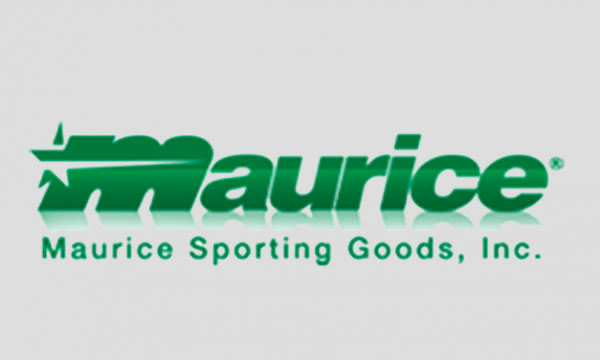 Maurice Sporting Goods changes name after acquisition. 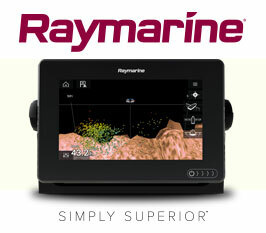 Raymarine launches Ice Fishing kit in time for new season. The new Ice Fishing Kit from Raymarine is shipping this month and has been described as the ‘ultimate’ ice fishing machine. With a waterproof bag and rugged base designed specifically for the Dragonfly, this portable kit is built to withstand the harshest winter elements. 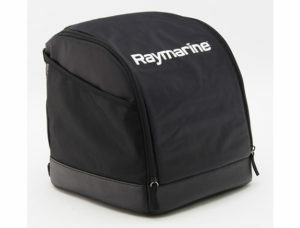 In time for the ice season in the US, global brand Raymarine has announced the launch of its Ice Fishing Kit. 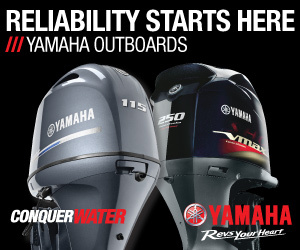 Shipping this month, it includes a full complement of all the right components to transform any Dragonfly Pro, DVS or first generation Dragonfly (not included) into what it describes as the ultimate ice fishing machine. With a waterproof bag and rugged base designed specifically for the Dragonfly, this portable kit is built to withstand the harshest winter elements. 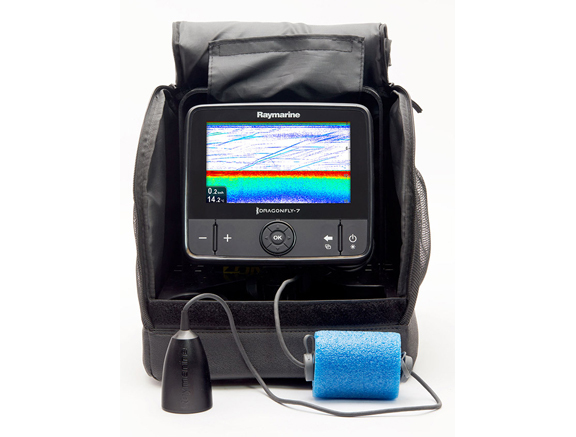 The Ice Fishing Kit also houses a rechargeable 12v/7Ah battery, charger and high-frequency CHIRP CPT-S ice fishing transducer with float. Full-sized cargo pockets provide ample room for tackle and the integrated rod holders make it easy for ice anglers to travel with all their gear and stay organized. 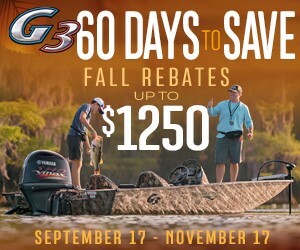 Extra storage for various size tackle boxes and integrated rod holders to carry all your gear. Featured image; “Would you like to catch a Coho (Silver Salmon), like this? Caption by Tracey John Hittel of Kitimat Lodge, Gary from England with a pipe in his mouth. The Coho (Silver) Salmon love to chase the fly but it has to be presented properly and of course using the correct lines.”? Noel Gyger reports. As mix of sun and clouds with highs to +5 degrees Celsius. Skeena River is dropping and may be fishable for Steelhead by the weekend.. Coho fishing closed October 31st. Tyee Test Fishery showing a record run of Steelhead this season – this is good news. Hope this trend holds! Coho run was way down this year. Kalum River is in fair shape and fishing well for Steelhead. Both fly and spin fishing are working well. Kitimat River is closed to Salmon fishing. Zymoetz (Copper) River is really dropping and may be fishing again for Steelhead. 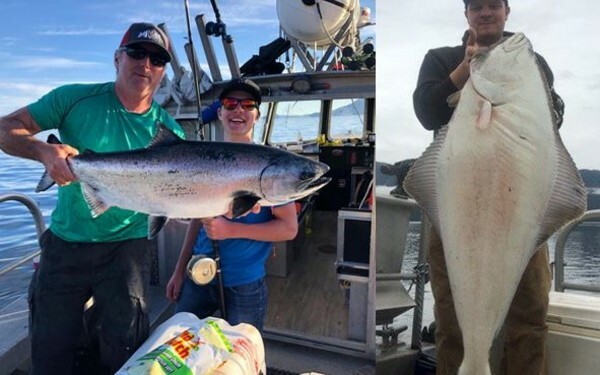 Ocean fishing for Salmon, Halibut, Prawn, Dungeness and Alaska King Crab is fair out of the ports of Kitimat and Prince Rupert. 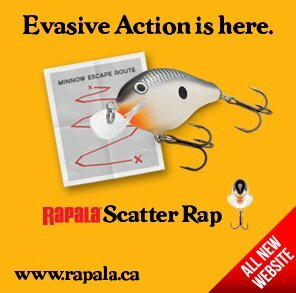 If you would like to book a river fishing guide or ocean charter for 2018-19 you can contact Noel at www.noelgygler.ca .